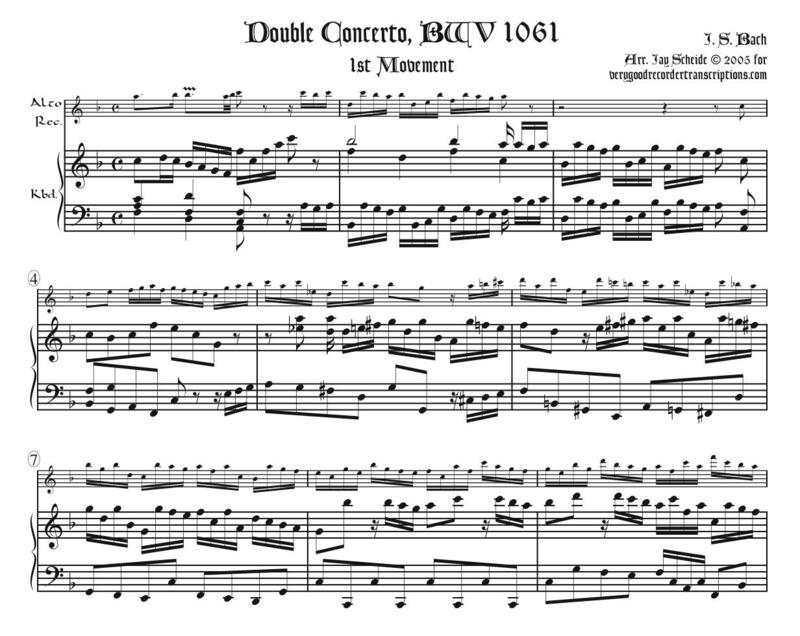 Originally for two harpsichords and orchestra in C major, transposed here to F. In the 3rd movement, the page-turns have been designed so that they occur after the odd-numbered pages (contrary to the usual case). Note that the right-hand of the keyboard part goes above the normal C6 above the treble staff. Revised March 25, 2019.